A well optimized site has much better chances of achieving higher rankings in search engine result pages. Optimization doesn’t stop at meta tags, titles and links. The structure of the site, how users navigate from page to page, can produce substantial SEO benefits. Sites that are designed for human users and search engine robots perform much better than sites that are just created for the purpose of gaming algorithms. Here are some SEO tips that can help you get started. The internet is one of the commonly used tools in communication and marketing. Websites are run by individuals, firms, companies and agencies where administrators are tasked with maintaining resources available for clients visiting the sites. It is important to ensure that a website has a user friendly site structure in order to create efficiency and ease of access for the people making use of it. There are various structures that can be implemented to ensure this is made possible. One of the most basic features of a website is the menu available. A user friendly site should contain menus that are easy to navigate in order for interaction with the users. They should therefore be made simple enough for easy understanding but also contain enough details for use while navigating the site. Another important feature for a user friendly website is the speed at which the pages load upon selection. Pages should not be too bulky sine they would take long periods of time to load making it inefficient for the users. This could result to fewer clients visiting these sites to access information in them. The coding that is used for the site is also an important aspect to consider since it affects the accessibility of the site. Give visitors the option to click back from within the site. This allows for not only easier navigation, but it also creates opportunities to get more internal links to your pages. Last but not least, valid coding should be used with frames avoided since they may limit the accessibility using some devices. Clients visit websites for the information that is available in them. Without adequate information in a site, there is less need to visit it as no benefits are obtained. 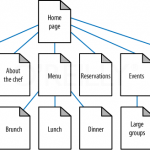 In order to know what is user friendly site structure, all these aspects should be put to mind when creating the site in order to increase the visitors accessing it and maintain high level of reliability on the site in the supply of the information in it.